The “Bargain Bin Beauty” Roz Drezfalez presents an all new comedy drag/stand up hybrid show at a discount price…FREE! That’s right hunnie, some of the funniest drag queens in town will put on a gown and clown around, so turn that frown upside down, noun! 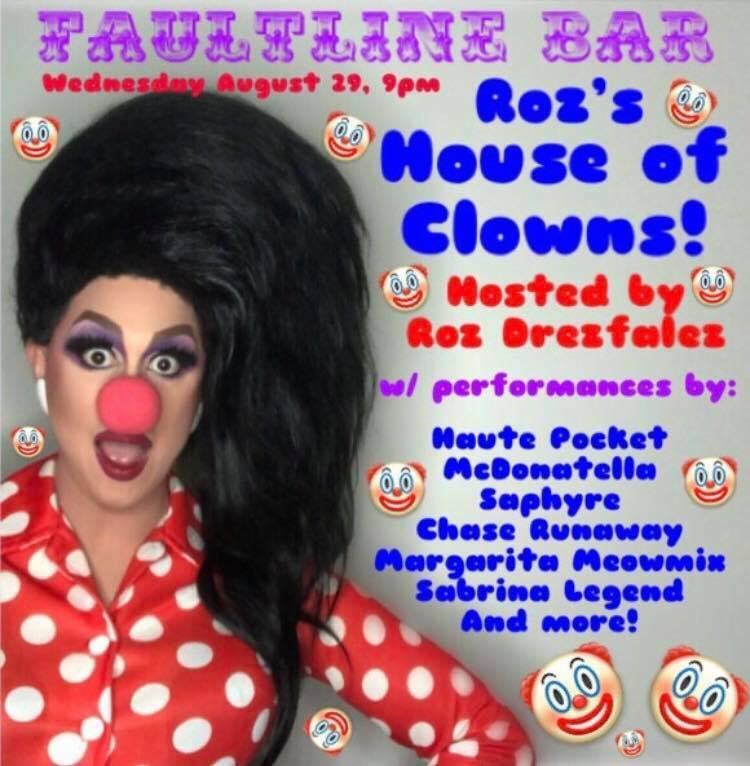 Shelarious men in big shoes and bright wigs trying to juggle balls from falling on the ground…grab your honker, cram all your pals in a car and come on down to Roz’s House of Clowns! I’ve got alllll the evil clowns that SLAY! Call me Stephen QUEEN, get IT? !